Monsoon has apparently started early in Mumbai. Looks like I will be touring that city in rain for the rest of the trip. C’est la vie. It’s still quite amazing. I have noticed that security is very, very tight in Mumbai. It clamped down all over India after the 2008 terrorist attacks. When we go to hotels, the car is inspected for explosives and bomb-sniffing dogs are used. The doors are opened and the car checked out. We have to go through bag checks, metal detectors, and wanding before entering the hotel. Interestingly enough, women are screened in a separate line, behind a screen, by another woman. Also, at the airport, all my carry on items, including my umbrella, were tagged. After they were screened, the tags were stamped. Before I got on the plane, my bags were inspected for the stamped tags. One guy didn’t have a tag, so he was not allowed to board until he had his bag checked, tagged, and stamped. Delhi is in some ways quite a switch from Mumbai. It is way hotter, and it is very dry. No monsoon yet. 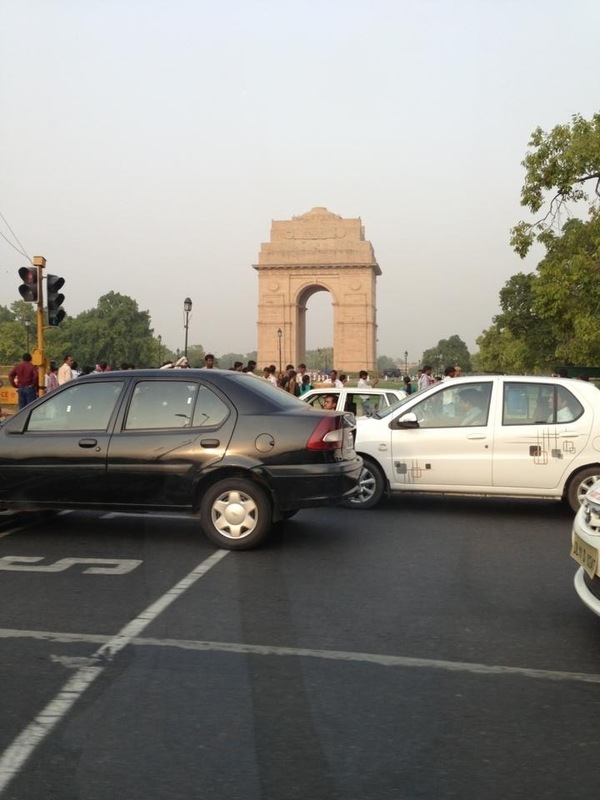 It is cleaner, and while there is traffic, it is not at all as heavy as Mumbai traffic. But it is still the same in that there are still homeless people and stray dogs and traffic laws appear to be non-existent. 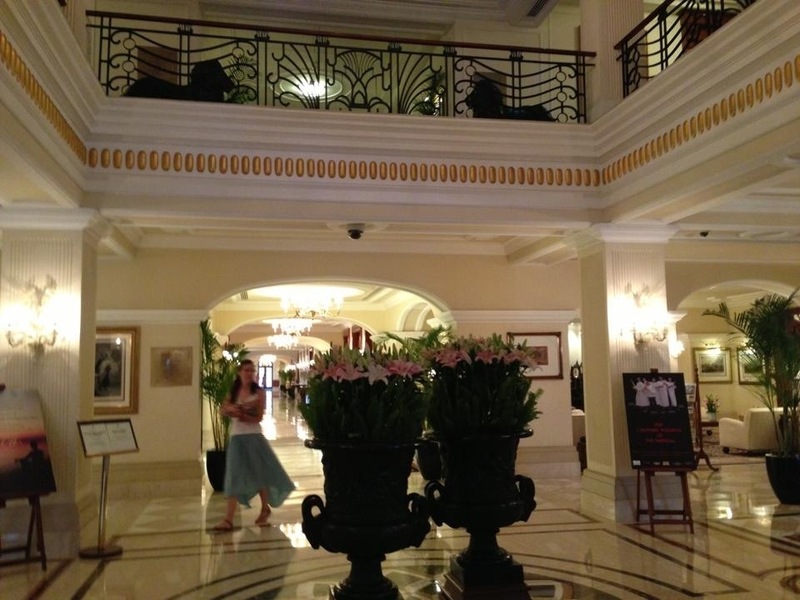 I am at a very nice hotel in Delhi called The Imperial. Here is their website. It is the nicest hotel I have ever stayed at. There is a Chanel shop in the hotel, to illustrate the level of luxury here. But no free wifi. Wish I understood why the cheap hotels offer free wifi but the expensive ones don’t. The lobby at the Imperial Hotel.